We are proud to be named one of the top 10 Resorts in the USA! Come and see why we are one of the most unique, destinations your family will ever visit. Click Here for more. Special Discount for Teachers! Comments Off on Special Discount for Teachers! The new Pine Ridge Dude Ranch is an all-inclusive, affordable, family vacation destination. Whether you are looking for a fun weekend getaway close to New York City or the perfect place for a reunion of family or friends, we have something for everyone! 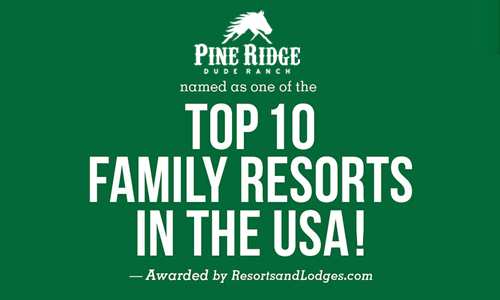 Get the latest news and specials from Pine Ridge Dude Ranch! Get the latest news, specials and exclusive offers.